James D. Gardner; Steward O. Peay; Snell & Wilmer, L.L.P. ; Attorneys for Appellees. E. Craig Smay; Attorney for Appellant. Brief of Appellee, Steven R. Kemp v. Wells Fargo Bank, N.A., HSBC Bank USA, National Association as Trustee for the Benefit of the Certificateholders of the Wells Fargo Mortgage Backed Securities 2007-8 Trust, Wells Fargo Bank, N.A., and John DOES of Unknown Number: Brief of Appellees, No. 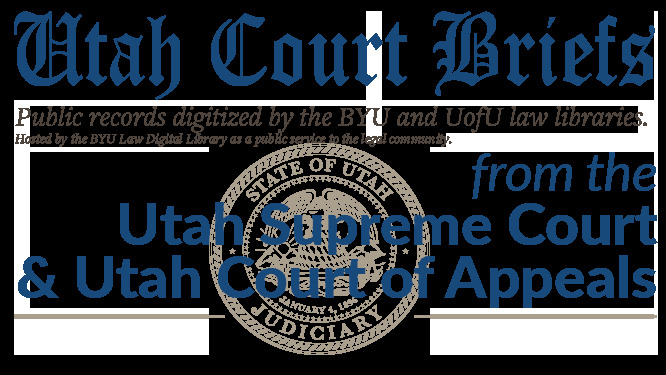 20120099 (Utah Court of Appeals, 2012).